We wanted to take a second and share with you a few companies, local and national, that implement our plasma technology in their products or services. Some of these companies are recognized nationally and some are local “mom n pop” shops. Our technology and products can be used in a number of different ways and that’s one reason why people love us. The company had fiscal 2015 sales of $9.9 billion and was ranked number 284 on the Fortune 500 annual list of public companies. Approximately 20,000 employees in 50 countries strive to make Air Products the world’s safest and best performing Industrial Gases company, providing sustainable offerings and excellent service to all customers. Tampa-based MagneGas Corporation (NASDAQ: MNGA) is a technology Company that counts among its inventions, a patented process that converts liquid waste into hydrogen based fuels. 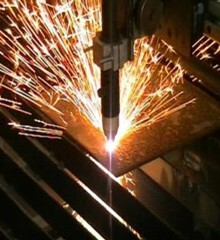 The Company currently sells MagneGas® into the metal working market as a faster, safer, and hotter replacement to acetylene. In addition, the Company is developing a variety of ancillary uses for MagneGas® fuels by utilizing its high flame temperature for co-combustion of hydrocarbon fuels and other advanced applications. It is also selling equipment for the sterilization of bio-contaminated liquid waste (such as pig manure or leachates) for various industrial and agricultural markets. St Louis Heating and Cooling is family owned and operated in the greater St Louis Metro Area for many years now. We strive to deliver 100% customer satisfaction and can help you with commercial or residential HVAC repairs and installations. Along with residential repairs and commercial repairs, St. Louis Heating and Cooling is also licensed to provide parts for the DIY people. They also have contracts with some of the largest companies in the St. Louis area to maintain their HVAC equipment . Repsol is one of the world’s leading integrated oil and gas companies. We are present along the entire energy value chain, including exploration, production, refining, marketing, and new energy R&D. Repsol’s corporate headquarters are located in Madrid, Spain, and our Canadian headquarters are in Calgary, Alberta. We operate in over 40 countries, with 25,000 employees worldwide. Typically, mass reduction is in the 9:1 range; 9 tonnes of waste material in results in 1 tonne of glassy, inert, slag out. 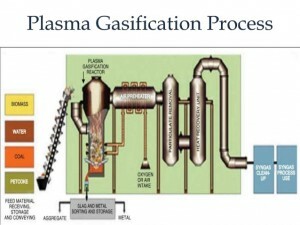 To sum up, Resorption Canada Limited’s Plasma Gasification Process is the practical application of a revolutionary process. Hazardous, non-hazardous, whatever, waste is received, processed by Plasma Gasification and the result is two commercially viable products; an energy rich gas/petroleum feedstock and a totally inert, glassy slag. 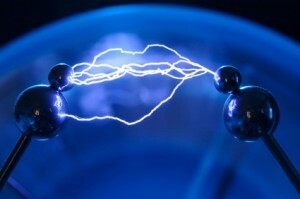 The gas can be use to generate power immediately or be stored for later use. It can also be used as a feedstock in the manufacture of methanol or other expensive fuel gases. The slag is suitable for many applications; rock wool, building material, Portland cement substitute and, of course, clean road aggregate or fill. This is all done in a small building, with no stack and no emissions. Two operational units are available for demonstrations at RCL’s Gloucester, Ontario facility. Off gas and plasma gas characterization is carried out and validated by 3rd party laboratories and/or government agencies. Demonstrations, waste processing with validated test results are performed on a scheduled basis.